The project is an empirical extension of the Code/Space book (Rob Kitchin and Martin Dodge) published in Software Studies series by The MIT Press (2011). It focuses on the intersection of smart urbanism, ubiquitous computing and big data from a software studies/critical geography perspective, comparing Dublin and Boston and other locales. The positions are not restricted to any discipline. Prof. Rob Kitchin is Director of NIRSA, and Chairperson of the Irish Social Sciences Platform. He has published widely across the social sciences, including 20 books and over 100 articles and book chapters. He is editor of the international journals, Progress in Human Geography (ISI rank 2/61) and Dialogues in Human Geography, and for eleven years was the editor of Social and Cultural Geography. 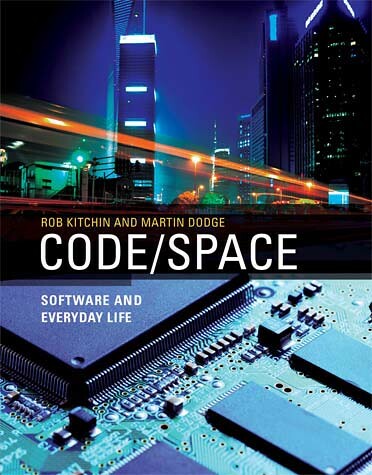 His book 'Code/Space' (with Martin Dodge) won the Association of American Geographers 'Meridian Book Award' for the outstanding book in the discipline in 2011 and a 'CHOICE Outstanding Academic Title 2011' award from the American Library Association.